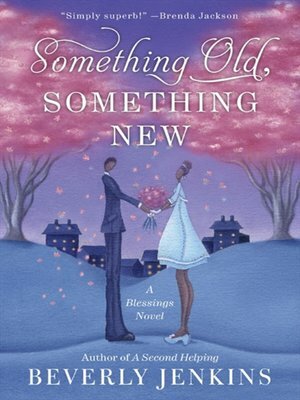 Beloved bestselling author Beverly Jenkins introduced readers to the delightful town of Henry Adams and its unforgettable residents in Bring on the Blessings and returned for another visit in A Second Helping. Now she brings us back to the people we have grown to love in Something Old, Something New—this time for a long-awaited wedding that will live forever in our hearts! Already one of the premier names in African-American historical romance fiction and thrilling contemporary romantic suspense, Jenkins is a wonderfully versatile storyteller who enchants with this poignant, heartwarming, and funny tale about the joys and trials of a uniquely endearing community that fans of Kimberla Lawson Roby and Angela Benson will especially appreciate.